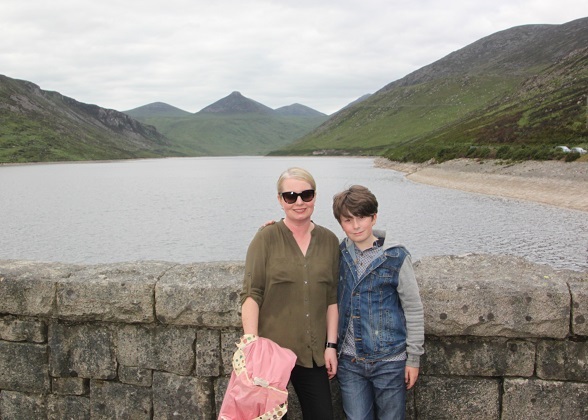 A dull, overcast Sunday afternoon – typical Irish anytime weather – we felt we needed a walk to shake off Sunday lunch and opted for the Silent Valley, a place not far from where I grew up and where my parents used to take us for Sunday strolls. 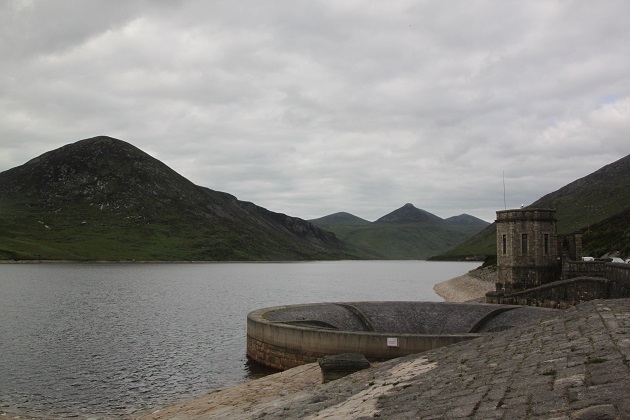 It is actually a reservoir and was built to gather water from the Mourne Mountains, now this is the main water supply for most of Co Down and a large part of Belfast. 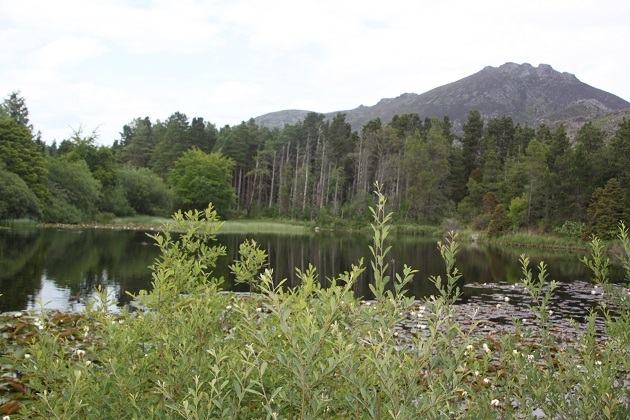 Ringed by mountains and located in the Mourne Area of Outstanding Natural Beauty it is a gorgeous spot – my pictures here are dull and grey, they in no way do it justice. Getting there was not so gorgeous though – the roads are narrow and bumpy to say the least and with a very queasy Son in the back seat looking ominously like he might explode at any moment, relief was the emotion we felt as we arrived and paid to enter the grounds. The car park was surprisingly busy – we discovered Music In The Park events take place here throughout the summer months which attracted a lot of picnicking families. Rightly so, the atmosphere and setting complemented nicely the band playing on the stage in front of the visitor centre. We listened for a little while, ice creams in hand before setting off on our walk and explorations. 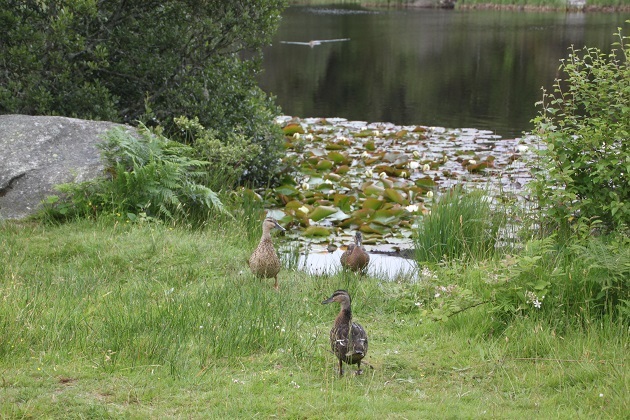 There is a lot to see here – beautiful parkland, lakes and a pond area. Away from the visitor centre we found incredible peace and solitude, a unique landscape and plenty of wildlife. 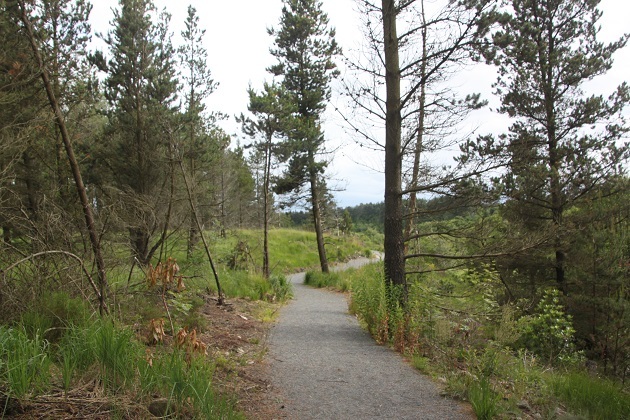 We followed one of three marked trails – the reservoir loop – which everyone enjoyed, not least because it was easy and flat going. We saw the famous Mourne Wall, built to enclose the catchment area of the reservoir between 1904 and 1922. It was made from natural granite stone using traditional dry stone walling techniques. 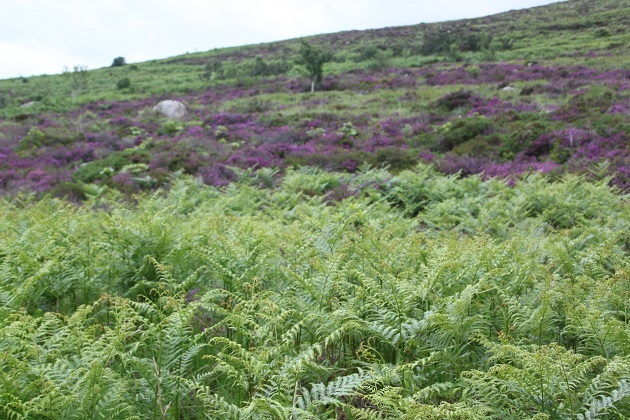 The statistics are impressive – 22 miles long and it passes over 15 of the Mourne’s summits. We walked around the reservoir and found a place to perch and soak up the views. Through the woods and a soundtrack of buzzing accompanied us. Not sure if it was bees or wasps but when Son likened it to the Hunger Games and the tracker jackers we weren’t quite so happy and were glad to emerge unscathed. A lovely place to walk, the perfect Sunday afternoon. So serene! Love the scenery and nature all around. It is a beautiful and very peaceful place. Hi Joy, I can see why it’s called the Silent Valley. However, it wasn’t – what was the buzzing? Did you manage to isolate it? A bit late in the year for bees or wasps. I know once I was in the woods and heard an almighty buzzing, which I eventually managed to track down to a decaying carcass of a deer! (The buzzing was the flies!). Eeek – could have been that Denzil, never thought of flies and a carcass! It was so loud and intense, a bit freaky right in the forest but we didn’t look around too much, I was a bit relieved to be out of it! I bet you’re glad I only mentioned that AFTER you had returned home! It really was Suzanne, such a calm and relaxing place. It looks lovely and peaceful there Joy -as you say a perfect place to walk off a traditional Sunday lunch. 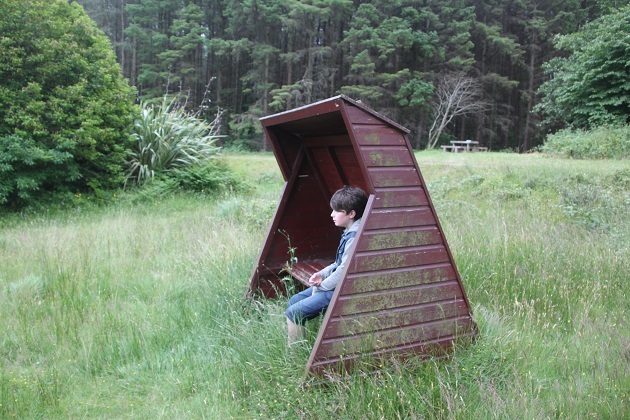 I love the small wooden shelter your son is featured in, wish there were more like that. I loved that too, we’ve come upon those types of shelters in other places (can’t remember where) but they’re lovely for sheltering from the elements or just sitting and taking a moment! Even dull and grey it is beautiful. I can only imagine how beautiful it is on those few precious sunny days! 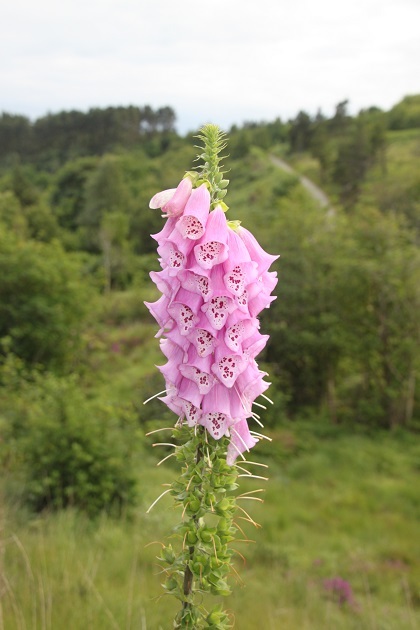 I’ve been there on one of those elusive sunny times and it is so lovely – it’s that kind of place that looks completely different in the various seasons and weathers – just gorgeous whatever! 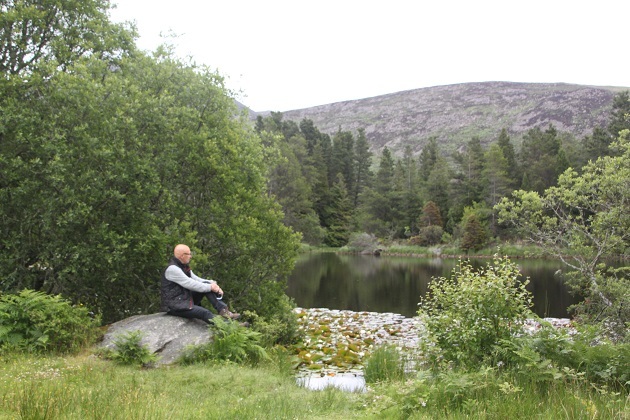 What a beautiful and serene place, I didn’t realize you grew up in Ireland! From N.Ireland Pam – I go back to see my lovely dad and sister as often as I can!! It’s a gorgeous spot Rosemary – I never quite appreciated how beautiful it was when my parents used to take us there and sometimes drag us around for a walk!! Now as an adult I get how lovely and special it is. That buzzing though… so creepy, I can’t tell you how spooky it felt and how loud right in the middle of that forest. We were all a bit perturbed and glad to see day light again! 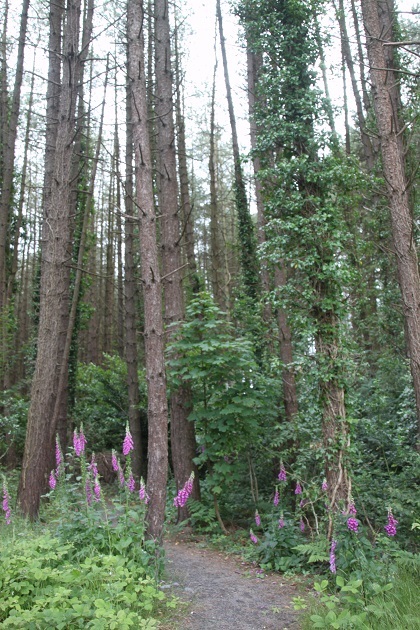 I loathe wasps here – eradication would be a great idea here too!! So peaceful! Sounds like the perfect place to have a walk in on a Sunday! It really is the perfect Sunday stroll whatever the weather!! And I hope you managed to get back without Son exploding too! He was fine on the way back – that seems to be how it goes with him!! No idea why…. What a beautiful, peaceful place, Joy. Isn’t it just George – you can see how the name fits! The name alone sounds so peaceful and intriguing..what a nice escape your parents took you to – can see why you’d want to return :). 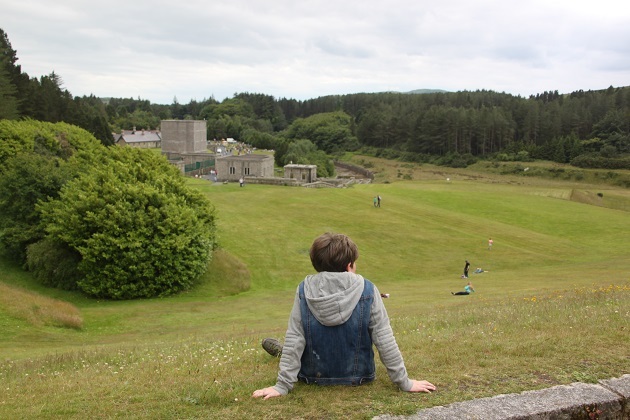 It’s one of those gorgeous places I didn’t fully appreciate as a child – now I really do! I love the name, that alone makes you feel calm! Thanks Aimee – this is a gorgeous spot. Me too – but I think I’m biased!! This really is a gorgeous spot. I couldn’t help but giggle a bit when I read about the buzzing! Your sons description of the bees from hunger games gave me a rea mental picture! However, I have an unreasonable fear of bugs and I would have freaked out! We couldn’t see them at all – just that buzzing and when he mentioned the Hunger Games well my imagination went into overdrive!! This place definitely seems magical! Thanks a bunch for the inspirational post! It really is a special place, so calm and peaceful. Such a gorgeous place, such landscape and scenery. Great pictures you shot!